Working on the next project using again awesome Apache Kafka and again fighting against a fundamental misunderstanding of the philosophy of this technology which probably usually comes from previous experience using traditional messaging systems. This blog post aims to make the mindset switch as easy as possible and to understand where this technology fits in. What pitfalls to be aware off and how to avoid them. On the other hand, this article doesn’t try to cover all or goes into much detail. Core ideas in Apache Kafka come from RDBMS. I wouldn’t describe Kafka as a messaging system but rather as a distributed database commit log which in order to scale can be partitioned. Once the information is written to the commit log everybody interested can read it at its own pace and responsibility. It is consumers responsibility to read it not the responsibility of the system to deliver the information to the consumer. This is the fundamental twist. Information stays in the commit log for a limited time given by retention policy applied. During this period it can be consumed even multiple times by consumers. As the system has reduced set of responsibilities it is much easier to scale. It is also really fast – as sequence read from the disk is similar to random access memory read thanks to effective file system caching. Topic partition is a basic unit of scalability when scaling out Kafka. Message in Kafka is simple key-value pair represented as byte arrays. When message producer is sending a message to Kafka topic a client partitioner decides to which topic partition message is persisted based on message key. It is a best practice that messages that belong to the same logical group are sent to the same partition. As that guarantee clear ordering. On the client side, exact position of the client is maintained on per topic partition bases for the assigned consumer group. So point to point communication is achieved by using exactly the same consumer group id when clients are reading from the topic partition. While publish-subscribe is achieved by using distinct consumer group id for each client to topic partition. The offset is maintained for consumer group id and topic partition and can be reset if needed. Topic partitions can be replicated zero or n times and distributed across the Kafka cluster. Each topic partition has one leader and zero or n followers depends on replication factor. The leader maintains so-called In Sync Replicas (ISR) defined by delay behind the partition leader is lower than replica.lag.max.ms. Apache Zookeeper is used for keeping metadata and offsets. Apache Kafka is quite flexible in configuration and as such, it can meet many different requirements in terms of throughput, consistency and scalability. Replication of topic partition brings read scalability on the consumer side but also poses some risk as it is some additional level of complexity to achieve this. If you are unaware of those corner cases it might lead to nasty surprises, especially for newcomers. So let’s take a closer look at following scenario. We have topic partition with a replication factor 2. Producer requires highest consistency level, set to ack = all. Replica 1 is currently the leader. Message 10 is committed hence available to clients. Message 11 is not acknowledged nor committed due to the failure of replica 3. Replica 3 will be eliminated from ISR or put offline. That causes that message 11 becomes acknowledged and committed. Next time we lose Replica 2 it is eliminated from ISR and the same situation repeats for messages 12 and 13. The situation can still be a lot worse if cluster loses current partition leader – Replica 1 is down now. What happens if Replica 2 or Replica 3 goes back online before Replica 1? One of those becomes a new partition leader and we lost data messages 12 and 13 for sure! Is that a problem? Well, the correct answer is: It depends. There are scenarios where this behaviour is perfectly fine. Imagine collecting logs from all machines via sending them through Kafka. On the other hand, if we implement event sourcing and we just lost some events that we cannot recreate the application state correctly. Yes, we have a problem! Unfortunately, if that doesn’t change in latest releases, that is default configuration if you just install new fresh Kafka cluster. It is a set up which favour availability and throughput over other factors. But Kafka allows you to set it up in a way that it meets your requirements for consistency as well but will sacrifice some availability in order to achieve that (CAP theorem). To avoid the described scenario you should use the following configuration. The producer should require acknowledging level ALL. Do not allow kafka perform a new leader election for dirty replicas – use settings unclean.leader.election.enable = false. Use replication factor (default.replication.factor = 3) and require minimal number of replicas to be in sync state to higher than 1 (min.insync.replicas = 2). We already quickly touched the topic of message delivery to the consumer. Kafka doesn’t guarantee that message was delivered to all consumers. It is the responsibility of the consumers to read messages. So there is no semantics of persistent message as known from traditional messaging systems. All messages sent to Kafka are persistent meaning available for consumption by clients according to the retention policy. Retention policy essentially specifies how long the message will be available in Kafka. Currently, there are two basic concepts – limited by space used for keeping messages or time for which the message should be at least available. The one which gets violated first wins. When I need to clean the data from the Kafka (triggered by retention policy) there are two options. The simplest one just deletes the message. Or I can compact messages. Compaction is a process where for each message key is just one message, usually the latest one. That is actually the second semantics of key used in the message. What features you cannot find in Apache Kafka compared to traditional messaging technologies? Probably the most significant is an absence of any selector in combination with listening (wake me on receive). For sure can be implemented via correlation id, but efficiency is on the completely different level. You have to read all messages, deserialize those and filter. Compared to a traditional selector which uses the custom field in message header where you don’t need even to deserialize message payload that is on the completely different level. Monitoring Kafka on production environment essentially concerns elementary question: Are the consumers fast enough? Hence monitoring consumers offsets with respect to the retention policy. Kafka was created on LinkedIn to solve a specific problem of modern data-driven application to fill the gap in traditional ETL processes usually working with flat files and DB dumps. It is essentially enterprise service bus for data where software components need exchange data heavily. It unifies and decouples data exchange among components. Typical uses are in “BigData” pipeline together with Hadoop and Spark in lambda or kappa architecture. It lays down foundations of modern data stream processing. Scalability, Availability, Resilience – those are just common examples of computer system requirements which forms an overall application architecture very strongly and have a direct impact to “indicators” such as Customer Satisfaction Ratio, Revenue, Cost, etc. The weakest part of the system has the major impact on those parameters. The topic of this post availability is defined as the percentage of time that a system is capable of serving its intended function. In BigData era Apache Hadoop is a common component of nearly every solution. As the system requirements are shifting from purely batch-oriented systems to near-to-real-time systems this just adds pressure on systems availability. Clearly, if the system in batch mode runs every midnight than 2 hours downtime is not such a big deal as opposed to near-to-real-time systems where result delayed by 10 min is pointless. I this post I will try to summarize Hadoop high availability strategies as a complete and ready to use solutions I encountered during my research on this topic. In Hadoop 1.x the well-known fact is that the Name Node is a single point of failure and as such all high availability strategies try to cope with that – strengthen the weakest part of the system. Just to clarify widely spread myth – Secondary Name Node isn’t a backup or recovery node by nature. It has different tasks than Name Node BUT with some changes, Secondary Name Node can be started in the role of Name Node. But neither this doesn’t work automatically nor that wasn’t the original role for SNN. High availability strategies can be categorized by the state of standby: Hot/Warm Standby or Cold Standby. This has a direct correlation to failover(start up) time. To give a raw idea(according to doc): Cluster with 1500 nodes with PB capacity – the startup time is close to one hour. Startup consists of two major phases: restoring the metadata and then every node in HDFS cluster need to report block location. The typical solution for Hadoop 1.x which makes use of NFS and logical group of name nodes. Some resources claim that in case of NFS unavailability the name node process aborts what would effectively stop the cluster. I couldn’t verify that fact in different sources of information but I feel important to mention that. Writing name node metadata to NFS need to be exclusive to a single machine in order to keep metadata consistent. To prevent collisions and possible data corruption a fencing method needs to be defined. Fencing method assures that if the name node isn’t responsive that he is really down. In order to have a real confidence, a sequence of fencing strategies can be defined and they are executed in order. Strategies range from simple ssh call to power supply controlled over the network. This concept is sometimes called shot me in the head. The failover is usually manual but can be automated as well. This strategy works as a cold standby and Hadoop providers typically provide this solution in their High Availability Kits. Because of the relatively long, start up time of back up name node some companies (e.g. Facebook) developed their own solutions which provide hot or warm standby. Facebook’s solution to this problem is called avatar node. The idea behind is relatively simple: Every node is wrapped to so-called avatar(no change to original code base needed!). Primary avatar name node writes to shared NFS filer. Standby avatar node consists of secondary name node and back up name node. This node continuously reads HDFS transaction logs and keeps feeding those transactions to encapsulated name node which is kept in safe mode which prevents him from performing any active duties. This way all name node metadata are kept hot. Avatar in standby mode performs duties of secondary name node. Data nodes are wrapped to avatar data nodes which send block reports to both primary and standby avatar node. Failover time is about a minute. More information can be found here. Another attempt to create a Hadoop 1.x hot standby coming to form China Mobile Research Institute is based on running synchronization agents and sync master. This solution brings another question and it seems to me that it isn’t so mature and clear as the previous one. Details can be found here. An ultimate solution to high availability brings Hadoop 2.x which removes a single point of failure from a different architecture. YARN (Yet Another Resource Negotiator) also called MapReduce 2. And for HDFS there is another concept called Quorum Journal Manager (QJM) which can use NFS or Zookeeper as synchronization and coordination framework. Those architectural changes provide the option of running two redundant NameNodes in the same cluster in an Active/Passive configuration with a hot standby. This post just scratches the surface of Hadoop High Availability and doesn’t go deep in detail daemon but I hope that it is a good starting point. If someone from the readers is aware of some other possibility I am looking forward to seeing that in the comment section. Java philosophy from very first beginning is “compile once and run everywhere” this seems to be strengthen even more for the next version of java. The key message for java 8 is “write code once and run everywhere” which implies blurring the edge between Java SE and Java ME. The move of Java towards smartphones and tablets etc. is clear. The approach and impact to language constructs will be described briefly as was presented at the conference. As presented nothing is cut in stone at the moment but the main objective is clear. Huge effort is being spent on a new java modularization system which would reduce an amount of consumed memory by JVM, reduce the size of final archives etc. The solution should be backward compatible with some question to current organization of JDK and potential reorganization. 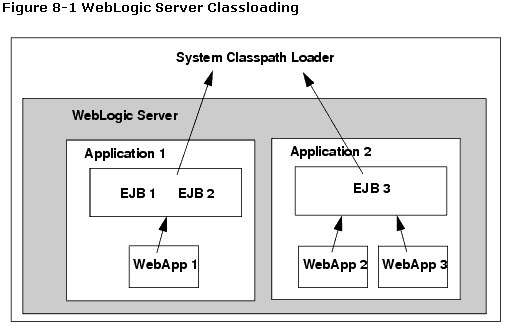 The solution relies on creating of new logical units composed of existing packages, classes etc. Details can be found on project pages – Project Jigsaw. JavaFx as a client rich platform went through a huge rewrite with version 2.0. Now supports full interoperability with Java Swing library.JavaFx scene builder released for major platforms. Java 7 made next step towards better parallelization with fork-join framework which helps you take advantage of multiple processors. Java 8 should move the matters even further with embedding functional style programming with lambda expressions – project Lambda. The last main feature presented for Java 8 was Type Anonotations as @Nullable, @NotNull etc. This feature is highly desirable by community as this allows better static code analysis. More info can be found here. The afore mentioned list is neither an extensive list of features nor a final list of enhancements in java 8 but rather a plan.